I passed this garbage can on my way to work today. 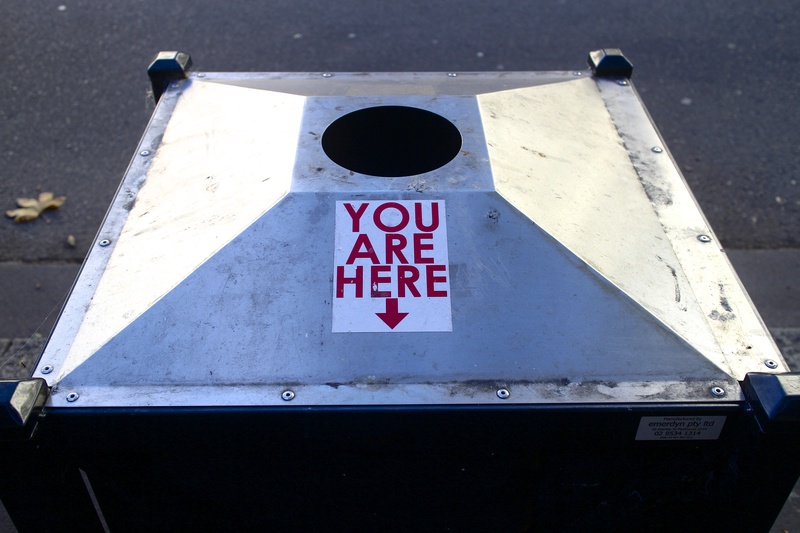 This entry was posted in Darlinghurst and tagged Funny, Garbage Can, Sticker, You Are Here. Bookmark the permalink.